Use those cans of tomato sauce to make an amazing Italian pasta sauce! There are many Italian (and not-so-Italian) recipes for making a simple Italian pasta sauce (some of which are on this site), but today I am using cans of tomato sauce as the base for making the sauce. This particular version is a simple marinara style recipe, meaning no meat or special veggies to add in (except onions and garlic). I’m using this recipe for a very specific purpose which is to use in a lasagna which I’m making from scratch for my in-laws for Christmas day. Of course you can use it for anything, but I wanted a sauce that wasn’t like a fresh tomato sauce, where it is super light and thin. It will be a great consistency for spreading on top of the wide noodles and mixing with the ricotta cheese when I layer up lasagna. Using Canned Tomatoes for Pasta Sauce? For this post, I made reference to the tomato sauce cans because I’ve always been curious when at the grocery store what kind of tomato product to use for sauce. Maybe you have too. Crushed tomatoes? Tomato sauce? Tomato paste? (Yes, you can make a sauce with tomato paste). 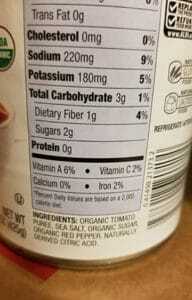 Canned whole tomatoes? Diced tomatoes? While different people will have different opinions, it comes down to two things: quality ingredients which impacts flavor, and desired consistency. I’ve made sauce with all variations and all turned out great. But with canned tomato sauce, you typically get a “sauce” already in the making. Meaning tomatoes aren’t the only ingredient and they’ve given you a head start. For example, here’s the ingredients list on the cans I used which I got at Aldis. It includes sugar and red peppers as additional ingredients. Most likely the added sugar and peppers are to add the needed sweetness for the sauce. 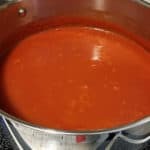 If you’ve ever made a sauce using tomato paste you have to add sugar otherwise it tastes bitter and unpleasant. So with the tomato sauce that’s all taken care of you. But it’s not a pasta sauce…. yet. So without further adieu, let’s get started. Here’s the recipe and ingredients below. Enjoy!!! 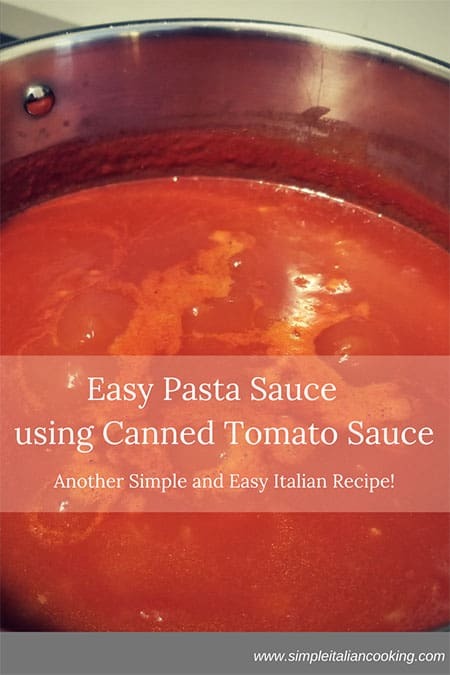 Make a simple and quick pasta sauce using canned tomato sauce as your base and expand from there. Saves time and helps create a robust flavor perfect for lasagna, baked noodles, and other pasta dishes. Makes about 6-8 cups. Take the diced tomatoes, put in a blender and pulse twice. This creates a crushed texture. You can also use a can of crushed tomatoes if you have one. Turn to a medium-low or simmer depending on time contraints. If you have a good chunk of hours then put it on simmer and let it simmer for 2-3 hours. Give a taste test and if it's evaporated down too much for your liking, add a little more water and continue cooking. Since I'm using this for a lasagna, I don't want it thin in consistency. Add more tomato paste if it is too thin. Remove and toss carrot when done. The carrot absorbs extra acidity so we don't want to keep it in the sauce. I've made this sauce in an hour by cooking it at a higher temp, however the best is always a low simmer for a longer time to really concentrate the flavor. Carrots will absorb some of the acidity from tomatoes while cooking. Don't leave the carrot in there when the sauce is complete. I did that once and I think it released the acid back into the sauce and it tasted awful. If you don't have a carrot use 1/8 to 1/4 tsp of baking soda. 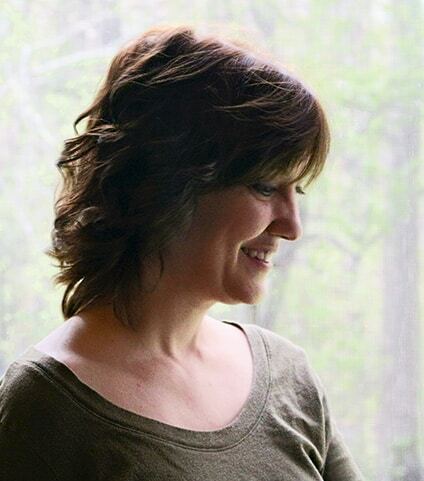 Have your kids add it in because it's cool to see it bubble up like a science project. Remove the bay leaves before using with a lasagna where it might be hidden and accidentally eaten. Bay leaves don't soften when in the sauce and it's best to remove them if not serving by itself in a serving bowl with ladle. Use a can of crushed tomatoes instead of diced but be careful of extra unwanted spices/herbs which can impact the dish you are making. I opt for plain and add the herbs I want when I make a sauce. This makes about 64oz of sauce, about 8 cups. Freeze for later what you won't use now.